Richmond Police officers arrested a woman on Friday afternoon on three charges of first-degree controlled substance trafficking (methamphetamine, cocaine, and drug unspecified) and tampering with physical evidence. 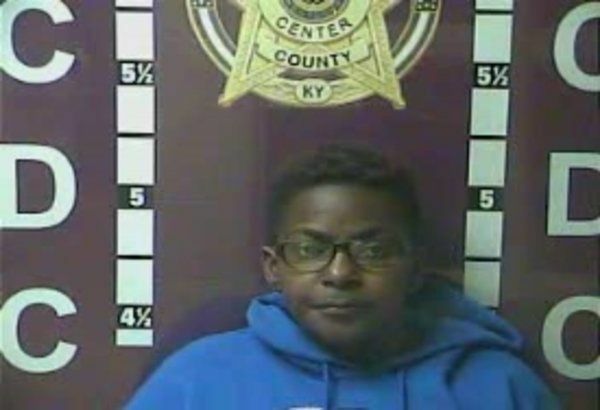 Officers listened to a recorded phone call between Madison County Detention Center inmate Richard Duerson, 39, Kristin Drive, and Jennifer McFarland, 42, of Jason Drive. In the recording, McFarland told Duerson that she had cleaned his apartment and retrieved items for him, according to a citation. Duerson, who is currently booked on numerous felony charges, including second-degree assault, kidnapping, and trafficking, told McFarland to retrieve more items, including a safe, several notebooks and other items believed to be evidentiary value pertaining to the felony charges, the citation continued. McFarland confirmed to police she had cleaned the apartment and retrieved the items but denied officers permission to search her Jason Drive apartment. After obtaining a search warrant, police located approximately 701 grams of suspected cocaine, 315 grams of suspected crystal methamphetamine, 95 ecstasy pills, a rifle, several handguns, 24 grams of marijuana, and 14 unidentified blank round tablets, according to the citation. McFarland was booked into the MCDC, where she remained Monday afternoon, according to online jail records. A trip to the clerk's office landed a Berea man behind bars on Friday afternoon after he was pulled over for having expired registration. Stephen Daffron, 67, Waycross Drive, was pulled over after Berea Police officers noticed his vehicle's registration was expired. Daffron told officers he was getting ready to pull into the clerk's office to pay to renew his registration, according to a citation. Daffron also failed to provide proof of insurance and was asked to step out of his vehicle. After consenting to a search, officers located a small baggie of methamphetamine in his wallet, weighing four grams, and $182 in cash. In Daffron's left pocket, officers found a pill bottle belonging to Daffron, but contained four more grams of methamphetamine instead of medication. Daffron said a female passenger told him to put it in the bottle, the citation states. Daffron was booked into the MCDC and is charged with first-degree controlled substance trafficking (methamphetamine), failure to produce insurance card, failure of owner to maintain required insurance, no registration receipts and no registration plates. He remained in jail Monday afternoon, according to online jail records. Berea Police arrested Gary Davidson, 36, Louisville, after he was found in an employees only area on Berea College's campus Monday morning. Officers were dispatched to the area after receiving a call regarding a man seen with tools in the area. Davidson was located in one of the college's buildings, which is behind a locked fence area, in a closet area with a closed curtain. The room was completely dark and Davidson said he was just using the bathroom, according to a citation. Outside, a truck belonging to the school had two tool boxes sitting on the hood and a third was in the bed of the pick-up. Davidson told police he had permission to be in the area to use the tools but officials from Berea College stated otherwise, the citation continued. Davidson is also one of two individuals who attempted to gain entry into a Berea College dorm a week or so ago, the citation noted. Davidson was booked into the MCDC and is charged with third-degree burglary, third-degree criminal mischief and theft by unlawful taking (less than $500). He remained in jail Monday afternoon, according to online jail records. Two individuals were arrested by Richmond Police on Saturday morning after officers recognized a semi on Pace Ramsey Road that had been reported stolen out of Indiana. Police turned around after passing the vehicle to investigate after dispatch confirmed it was the same one reported as stolen. Officers were unable to get anyone to come to the driver window and were unable to see anything inside of the cab, the citation states. After more officers arrived on scene, Derrick Palmer, 29, address unknown, came to the driver door. After being slightly uncooperative with officer's commands, Palmer was detained. Chastity Henderson, 40, address unknown, came out of the vehicle and was also detained, according to the citation. Palmer told police that vehicle was not stolen, that it was, in fact his, and that he was supposed to report to work on Monday morning. Palmer told officers numerous times that he was off for medical reasons and that he did not steal it. Henderson said she didn't know anything about it being stolen and per Palmer, the GPS tracker was messed up, the citation continued. Palmer told officers he left the semi on Old Lexington Road by the police department, where it was found undamaged. Palmer and Henderson were booked into the MCDC and charged with receiving stolen property ($10,000 or more). Both remained in jail Monday afternoon, according to online jail records. 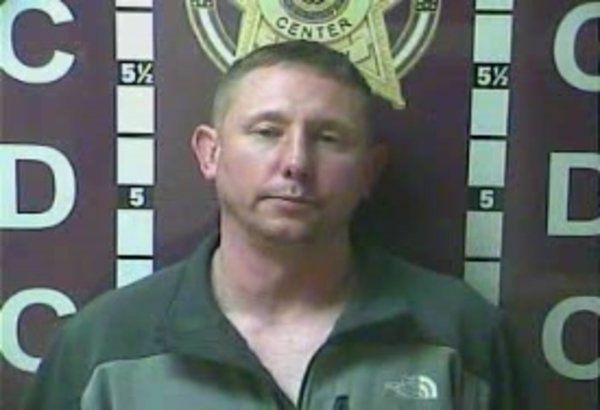 Madison County Sheriff's deputies arrested Benjamin Jobes, 37, Lexington, after he crashed his vehicle through someone's property and struck a tree early Saturday morning. The crash occurred along Baldwin Road, and upon hearing the accident, the homeowners came outside to check on Jobes. The homeowner told deputies that Jobes tried to start the truck and leave, and while inside phoning police, Jobes began walking down the road, according to a citation. Deputies found Jobes not far from the accident and he was stumbling and unsteady on his feet. When deputies told him to stop, Jobes continued to try and walk away. The presence of alcohol was strong on Jobes and his speech was slurred. Jobes had blood on his hands as well, the citation stated. Jobes refused to talk with deputies and refused to cooperate for a field sobriety test, the citation noted. Jobes was booked into the MCDC, where he is charged with leaving the scene of an accident/failure to render aid and operating a motor vehicle while under the influence of drugs or alcohol. He was released later Saturday morning, according to online jail records. Richmond officers arrested Justin Martin, 24, address unknown, after the vehicle he was a passenger in failed to stop at a stop sign on South Second Street early Monday morning. Police recognized Martin as having an active Madison County warrant and detained him. As Martin was getting out of the vehicle, officers noticed an Altoids can where his feet had been. Inside the tin was a clear plastic baggie containing a brown substance inside, according to the citation. A person in the vehicle told police the two had been to Walmart, where they bought a cassette adaptor. A receipt matching the item, date, and time was found inside the tin, the citation noted. Martin was booked into the MCDC and charged with first-degree controlled substance possession (heroin). He remained in jail Monday afternoon, according to online jail records.